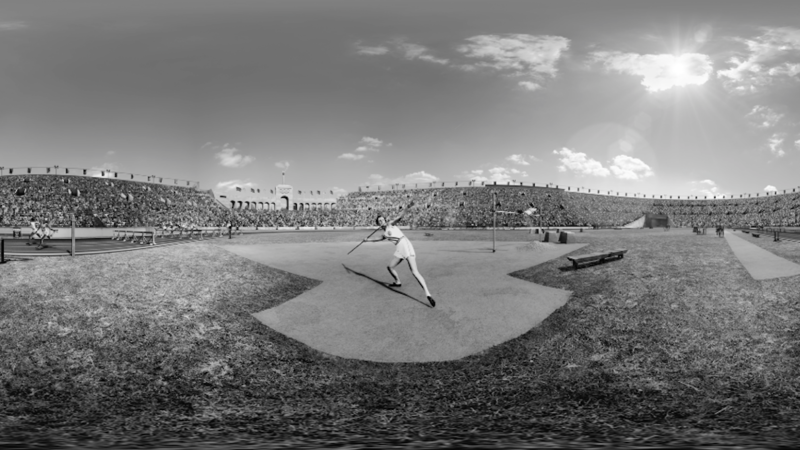 The Mill recently joined forces with The New York Times to create a VR film entitled 'The Modern Games.' The experience marks the start of the Summer Olympics in Rio and takes viewers through time to some of the most unforgettable moments in Olympic history. From the revival of the modern Olympics in 1896 to Babe Didrickson's paradigm-shifting victories in 1932 to the almost superhuman feats of gold-medalists like Bob Beamon and Usain Bolt, NYT VR takes you inside the triumph and failure, joy and despair of the Summer Olympics. Working closely with The New York Times production team, The Mill’s Eric Chang and Westley Sarokin led a team of VFX artists to transform archival photography into worlds that viewers could themselves inhabit, using a combination of 2D and 3D techniques. Westley Sarokin comments, "Creating a sense of transport was a key aesthetic to capture in the creation of this experience. We wanted the viewer to feel that they were not only temporally projected into the moment photograph was taken, but also enveloped by the historical lens that embodies our vision of specific points in past." Our collective memory of history has evolved and developed hand in hand with our technological capability to capture it. 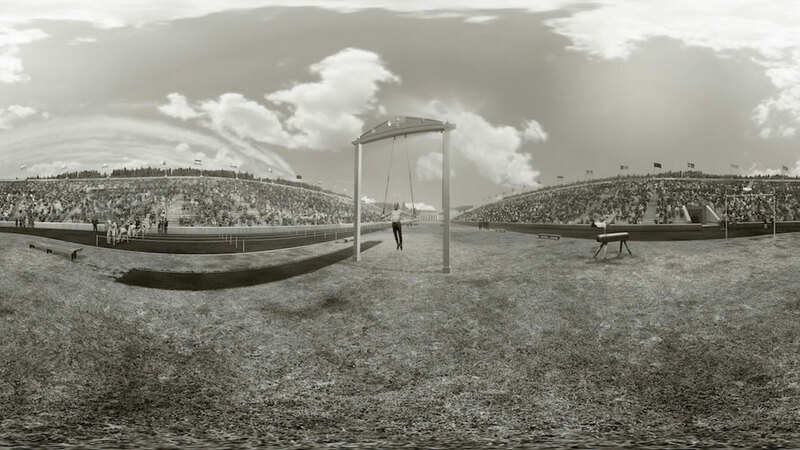 And being able to juxtapose traditional photographic technique with the relatively new medium of VR gives this experience a truly unique window into both the past and the present." The team closely analyzed each environment from iconic source material of Athens, Los Angeles, Beijing and Mexico, adding texture, depth and CGI elements such as crowds to bring each scene to life. Each element was seamlessly integrated, paying close attention to the consistency of lighting and tone of each distinct moment in time. Eric Chang adds, "It was an exciting prospect to have these iconic photos as our source material. They presented interesting questions about distinctions between camera lenses and the human eye. Photography is a subtractive exercise – the photographer’s goal is to isolate exactly what they want the viewer to pay attention to and capture it in a single frame. By contrast, virtual reality is additive. The viewer controls the direction of focus, so as environment-builders we have to account for that. Certain tools essential to photography like focus and vignetting are no longer relevant or effective. Given this contradiction, our solution was to consider our archival materials in two dimensions. The first was emotive; what was it about each image that made the viewer feel inspired? The second was light and material. Our 2D team made sure all of the disparate elements from our source material cohered into recognizable looks that delineated where we were in time, and added atmospheric and textural elements that make you feel as if you’ve jumped inside the photos themselves." 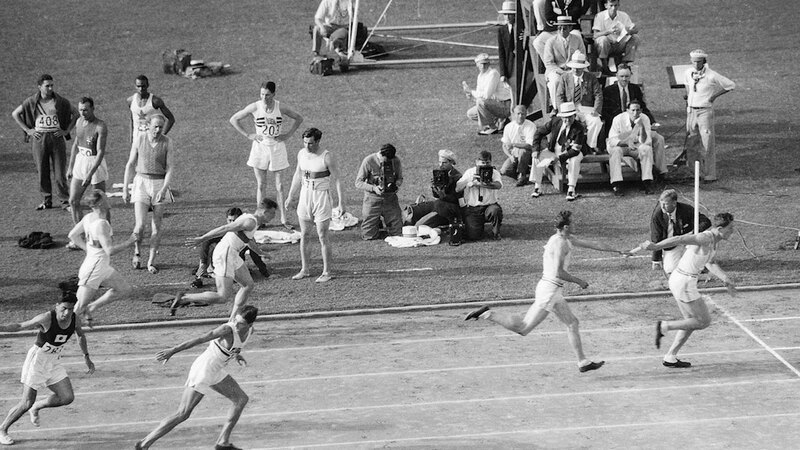 Listen to David Goldblatt, author of “The Games: A Global History of the Olympics,” and exclusive interviews, as you stand alongside some of the greatest Olympic athletes for the very instant they make history. Soar above Rio’s beaches and granite peaks. Stand inside Rio’s Olympic Stadium and dance among its people in anticipation of what awe-inspiring moments these Games may produce. 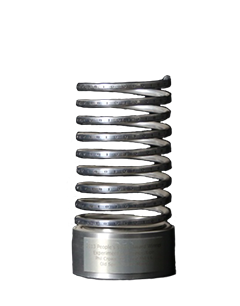 “The Modern Games” was shot in part using the GoPro Odyssey and produced using Google Jump. The NYT VR app is free and available for download in the Google Play and iOS App Stores.